The project’s original timetable of opening in 2020 hasn’t changed, although the cost has gone up — and the contractor team has been replaced. The cost of the Washington State Convention Center expansion in downtown Seattle has grown from $1.4 billion to $1.6 billion, while officials have picked a new team of contractors to replace the firms it fired earlier this year. Still, the original timeline for the project — for construction to begin in summer 2017 and be finished in 2020 — hasn’t changed. The cost increase was largely because of updated estimates on things like buying steel and the properties needed to build on, said Matt Griffin, managing partner of Pine Street Group, which is managing the project. “A lot of it is basically what things cost in Seattle these days,” Griffin said. The plan remains to fund the project largely through bonds that are repaid by revenue from hotel taxes. 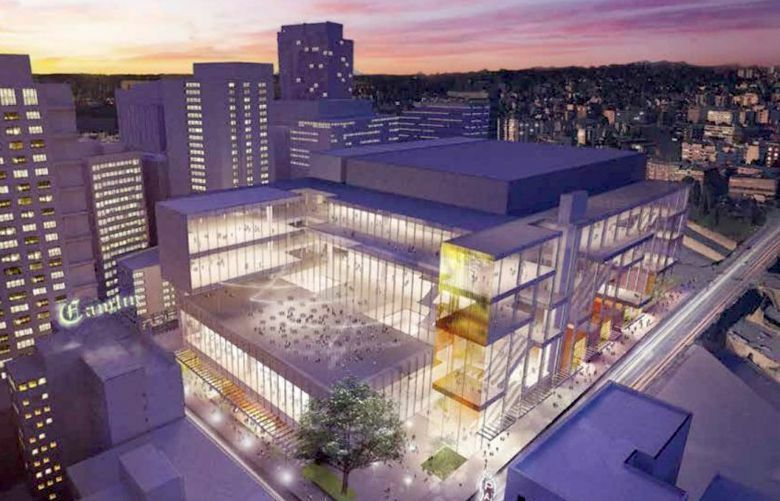 Clark Construction of Maryland and Lease Crutcher Lewis of Seattle will take over construction of the project, the convention center announced this week. Project officials said the joint venture “was the logical selection” as it finished second in the original bidding process. The original bid winners, Skanska and Hunt Construction Group, were picked last summer but were dismissed in March over cost concerns, though Griffin said the higher price tag was approved before the selection of the new contractors. The convention center agreed in April to pay the original firms $7.8 million to settle a lawsuit filed over the firing, clearing the way for the selection of a new general contractor. Pre-construction planning for the expansion continued while the legal battle and the selection of the new firms progressed. The expansion is designed to double the center’s space across a full block bordered by Pine Street, Olive Way, Boren Avenue and Ninth Avenue in hopes of attracting more events.